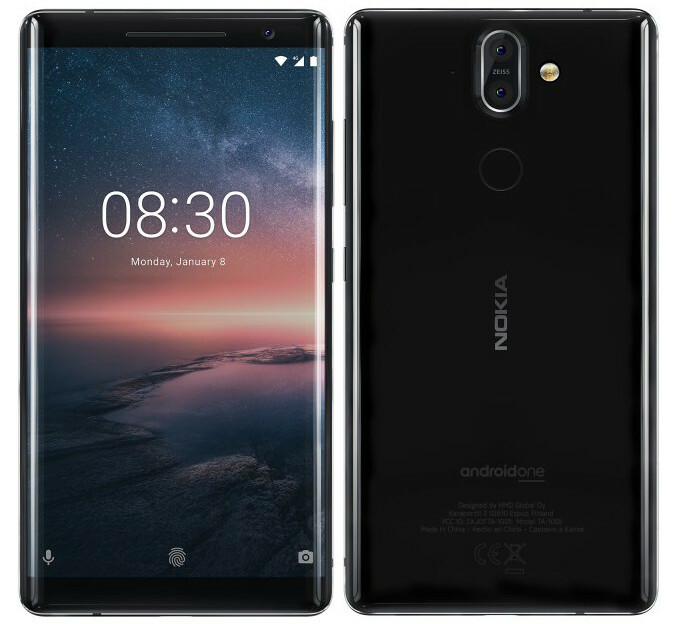 HMD Global has introduced Nokia 8 Sirocco Android One Smartphone at MWC 2018 which comes with Similar Specifications as Nokia 8. It now comes with glass body for wireless charging support, a rear-mounted fingerprint sensor. Nokia 8 Sirocco Edition comes with less bezels at the front with slightly curved edges. The Sirocco edition gets a new Pro Camera mode which you might have found on the old Nokia Lumia devices. However, there is no headphone jack present which is a huge tradeoff and will have to rely on the USB Type-C for audio. Nokia 8 Sirocco has a 5.5-inch (2560×1440 pixels) pOLED display, sculpted Corning Gorilla Glass 5 protection powered by Octa-Core Snapdragon 835 processor with 6GB of RAM and 128GB of internal storage. On Camera, it has a 12 MP primary rear camera with 2L7 wide-angle lens, 1.4um pixel size, f/1.7 aperture + 13 MP secondary camera with 3M3 Telephoto lens and 5MP front-facing camera with 1.4um pixel size. Packed with a 3260mAh battery also support for Qi Wireless Charging. It runs on Android Oreo and will be getting Android P Update. 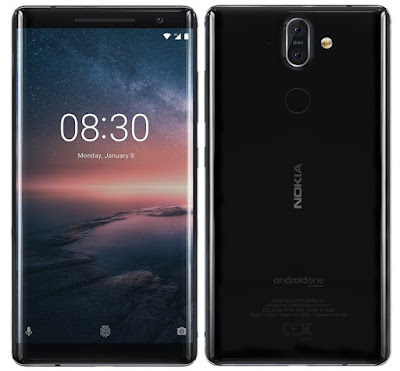 Nokia 8 Sirocco comes in Black and will be available in April priced at 749 euros ( Rs. 59,533).